With the rise of the innovation economy, algorithms and data-driven approaches are shaping our lives today and far into the future. Dr. Sarah Saska works to guide innovation (and the disruption that comes with it) to ensure that we build a future that benefits everyone and brings everyone forward. 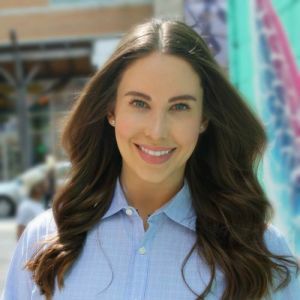 As the Co-Founder and CEO of Feminuity, Sarah and her team work with innovative companies around the globe to support them to embed diversity and inclusion strategies into the core of their business. Sarah and her team have worked with clients in Canada, U.S.A., China, Sri Lanka, Japan, and Vietnam, including tech start-ups to $1.6 billion companies. Sarah is a member of the Advisory Council for The School of Advanced Studies in the Arts & Humanities at Western University, The MATCH International Women's Fund, and Pique Fund II. She also sits on the Board of Directors for Wen-Do Women's Self Defence, and she is a mentor with MentorU. Sarah speaks internationally about the future of technology and its impact on people and has delivered a TEDx talk. Sarah has been featured in The Globe and Mail, The Toronto Star, The Financial Post, Bloomberg Law, and The New York Times. Sarah is twice named amongst the Women’s Executive Network’s Top 100 Most Powerful Women in Canada (2015 and 2017). Sarah approaches her work with heart, humour, and a bit of sass. She lives in Toronto with her dog, Gordon.